Wow. I own floridadiy.com again. It sat in the hands of domain squatters for 10 years, and then one day they just stopped renewing it. 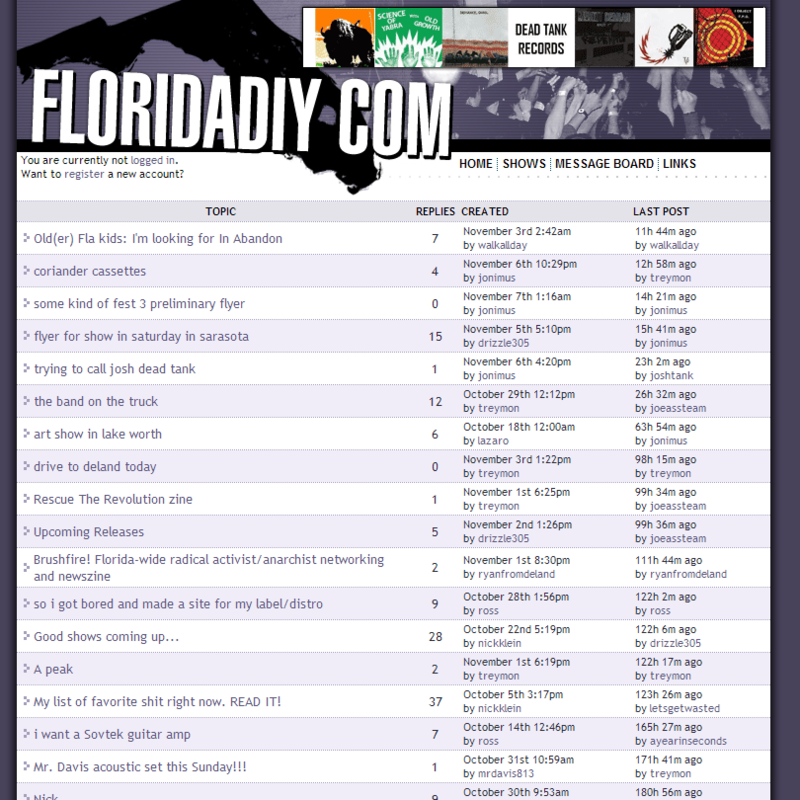 Back in 2006, when I first created this site, my goal was to build a place where people could learn about Florida shows without having to know someone. At the time, it had become easier to make a bulletin on Myspace rather than put effort into advertising shows. Luckily, a lot of my friends came along to post their shows, and for a few years that goal was achieved. So, maybe some day this will be a site again. Facebook has taken over everything, and it's not good. Last year, I created the St. Augustine Music Project to try to battle that in the city I live in, but I'm a lot busier than I was in my twenties. Anyone want to help?